What raw material needed for producing culture paper? Paper mill can use virgin pulp, waste paper (OCC, LOCC and AOCC)as raw materials to produce high-grade cuture paper products. Leizhan state-of-art paper equipments have highly improved the utilization of raw material. Leizhan high quality devices provides an opportunity to increase profitability by minimizing the amount of raw materials costs. How much width of paper machine can produce? 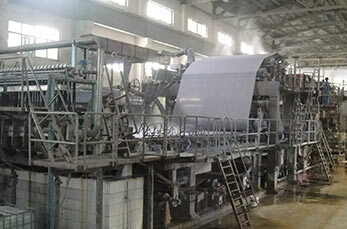 According to various production capacity and demands, Leizhan can provide culture paper manufacturing machine width range from 1880mm to 3750mm. How much basis weight of the sheet can produce? To meet our customers’ various demands, Leizhan culture paper processing equipment can produce various basis weight sheet ranging from 40g/m2 to 80g/m2. How much operating speed can be reached? The operating speed of culture paper machine can range from 200m/min to 1200m/min. The more production capacity you produce, the higher operating speed can be reached. Leizhan culture papermaking machine can achieve 1200m/min speed level. How much throughput can produce by using Leizhan culture paper machine? Designing a proper production capacity is the key point of getting the highest return for investment. Leizhan focus on providing a proper scale paper manufacturing project for our customer with best available option. Paper mill can produce at least 20 tons of culture paper by using Leizhan paper manufacture facility. And the maximum throughout can arrives 270 tons daily.